It’s not just the mountainous, cloud-engulfed and muddy roads that keep people from visiting Da Lang Village. * It’s the leprosy. Although leprosy has been arrested in most of the world by means of modern medicine, many people who were afflicted prior to the cure’s discovery are still alive and suffering. In China, for example, from as far back as the 1950s, leprosy-afflicted citizens were banished to isolated rural slums like Da Lang. There, they have lived out their lives, forgotten and ostracized from families and friends, in locations so remote that only the determined can reach them. Thankfully, the love of God within His children has birthed such determination in Heaven’s Family’s Unreached People Groups Fund director, Todd Matthews, and his team of Chinese believers. In Da Lang, they are relieving bodily ailments and healing hurting hearts. Todd and his team don’t make the long and difficult journey to Da Lang just to preach about Jesus, but also to demonstrate His love in very practical ways. That is where Heaven’s Family helps. 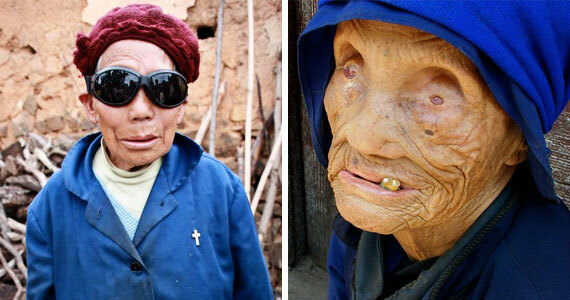 Many of Da Lang’s citizens suffer not only the loss of their fingers, toes, hands and feet, but also of their eyelids, which eventually results in blindness. 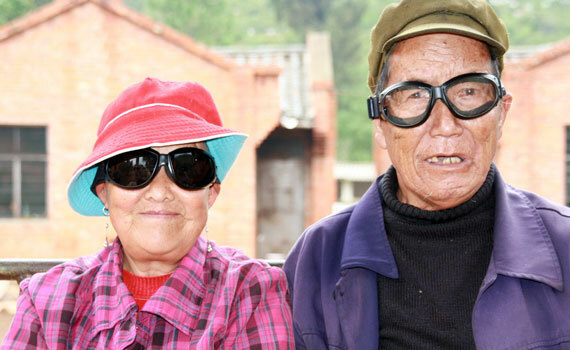 So, during his last visit to Da Lang (and a few other similar villages), Todd was able to bring something with him that would save precious at-risk eyes—an assortment of protective goggles. Gui Lan, a new believer who was exiled almost forty years ago when she contracted leprosy, was filled with joy when she received her pair. Previously, all she could find to protect her eyes were cheap sunglasses. Her new goggles, however, keep out both dust and sunlight, and they don’t frequently fall off or easily break as did her old sunglasses. Gui Lan, who loves to sing praise songs, is praising God even more now! Heaven’s Family is also working in Da Lang and similar villages in Yunnan Province by funding the construction of fish ponds. Those ponds will provide an important source of much-needed protein—as well as income—for leprosy-afflicted residents. As a result, hearts are softening and opening to the gospel, which not only promises eternal life, but new and glorified bodies in heaven. Your partnership is making a difference! *For security reasons, we’ve used a fictitous name. A recent earthquake caused extensive damage to the simple homes in one of the villages like Da Lang where we are serving, and the community needs help rebuilding. They also need help with such basic needs as food, clothing, blankets, wheelchairs and medicine. 100% of your designated gifts will help meet the needs in Da Lang and other leprosy communities in which Heaven’s Family is serving in China and India. We couldn’t resist taking this photo of Heaven’s Family staff member Karin Trotter during a ministry trip to the Dominican Republic. 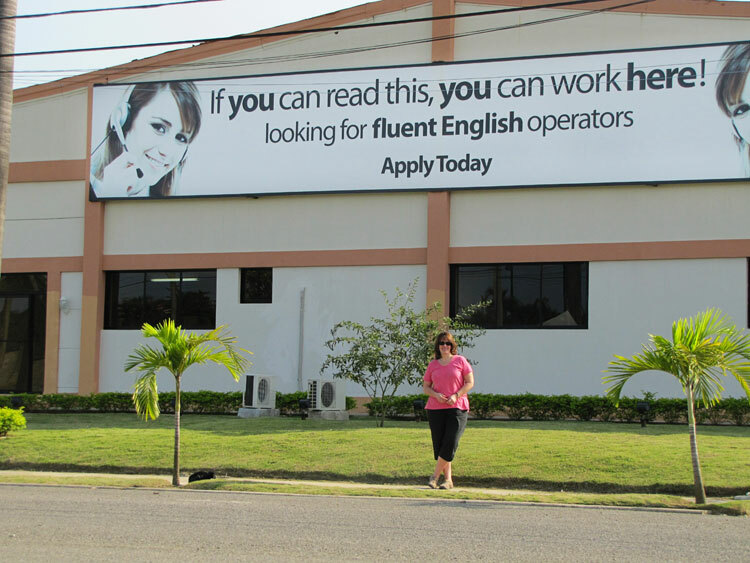 We might be frustrated when we phone a company and find ourselves speaking to a foreigner with an accent, but we need to remember that we’re speaking to someone who may have studied hard to learn English in order to gain employment that pays only a fraction of our minimum wage.